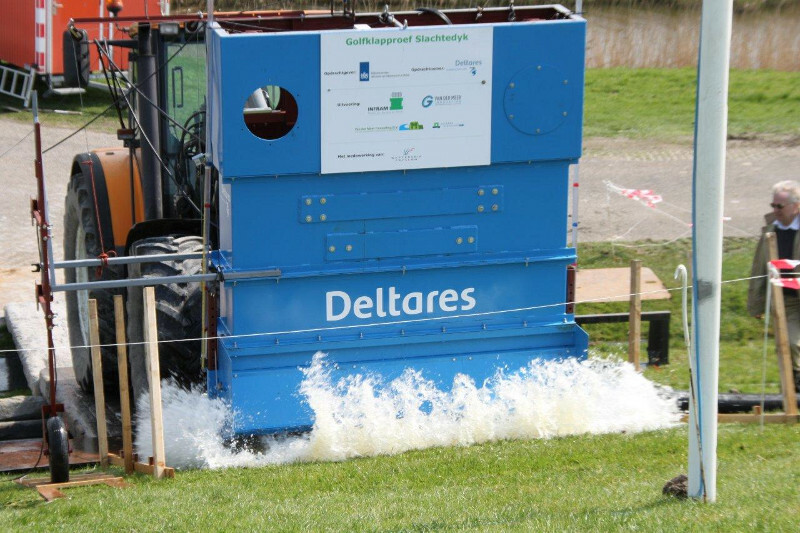 Van der Meer Consulting B.V.
Sea dikes are protected for heavy wave attack by a placed block revetment or asphalt. River dikes are not. They experience fairly small wave heights up to only 1 m and the riverside slope has often a grass cover on a clay layer. The main hydraulic force on these slopes are wave impacts by the breaking waves. 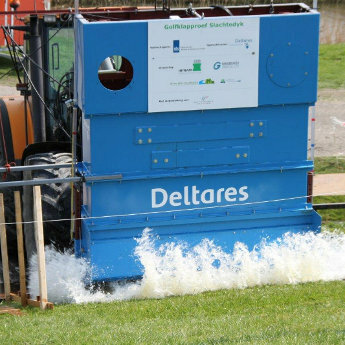 A wave impact simulator has been developed for Deltares in 2011 and 2012. 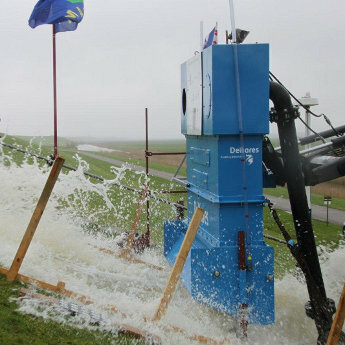 This machine is able to produce wave impacts with the correct peak pressure, rise time and impact duration for wave heights between 0.5 m and 1 m. The main objective is to assess the strength of river dikes against wave impacts. The development was done by trial and error, measuring the impacts and then comparison with known impacts from tests in the Delta flume. 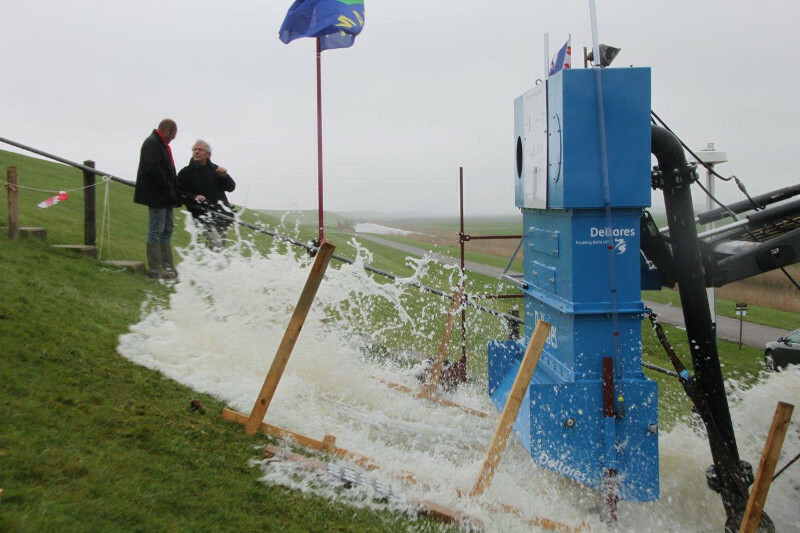 A pilot test was performed in May 2012 and from October 2012 on various dikes have been investigated.